1. These terms and conditions of entry, including information on how to enter and prizes form part of these Conditions of Entry. Entry into the competition is deemed to be acceptance of these terms. 2. Entry is only open to Australian residents aged 16 years and over. Employees and the immediate families of the Promoter and its agencies associated with this promotion are ineligible. Immediate family means any of the following: spouse, ex-spouse, de-facto spouse, child or step-child (whether natural or by adoption), parent, step-parent, grandparent, step-grandparent, uncle, aunt, niece, nephew, brother, sister, step-brother, step-sister or 1st cousin. 3. The Promoter reserves the right, in its sole discretion, to verify the validity of entries and to disqualify any entrant who tampers with the entry process or who submits an entry that is not in accordance with these Conditions of Entry, or engaged in any unlawful or improper misconduct calculated to jeopardise the fair and proper conduct of the competition. 4. Promotion commences at commences at 12:00 PM AEDT on 03/12/18 and will close at 23:59 AEDT on 25/01/19 (Promotion Period). 5. 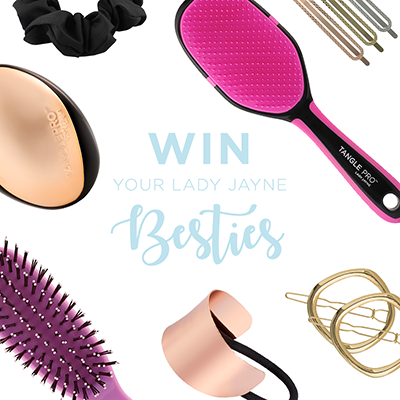 To enter, participants must go to the official competition website at www.ladyjayne.com.au/besties, select your favourite Lady Jayne products from the options available and enter your requested details. No responsibility accepted for late, lost or misdirected entries. 6. Multiple unique entries per person are permitted. 7. The judging will be conducted at 1/378 High Street Preston, VIC 3072, The Township, every Friday from 07/12/2018 to 25/01/2019 (nine winners in total). All eligible entries will have the chance to be drawn out at random. Judges' decision is final and no correspondence will be entered into. The Promoter will contact the winners via the contact details they provided. The winner must respond via that course of communication within fourteen (14) business days of being contacted to redeem their prize and provide a valid mailing address for delivery of the prize. 8. The Promoter may redraw from further entries, at the same place as the original judging is held, as are necessary in order to distribute any prize unclaimed once fourteen (14) days after the winner is contacted by the promoter has lapsed, subject however to any written directions given under Reg 37 of the Lottery and Gaming Regulations 1993 (SA). 9. The overall nine (9) randomly drawn winners (1 per week, excluding 25/01/2019 where 2 winners will be drawn) as selected by Promoter, will be deemed a prize winner and will each receive one (1) Lady Jayne Prize pack, including the products they selected upon entry (if a winner entered more than once, the prize pack will only be based off the entry that was selected randomly and not all entries combined). 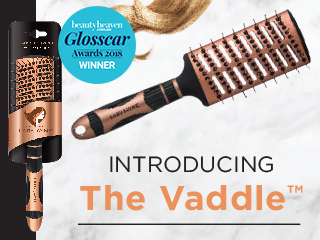 The Lady Jayne Hair packs are valued at AUD $150.00 inc. GST. 10. Total prize pool value is RRP AUD $1350.00 inc. GST, with each of the 9 individual prizes valuing at $150 RRP. The Promoter accepts no responsibility for any variation in the prize value. Prizes or any unused portion of a prize are not transferable or exchangeable and cannot be taken as cash. 11. The Prize will be sent to the winner at the delivery address provided via private message. Please allow for up to 28 working days for receipt of your Prize. The Promoter is not responsible for any prize that is lost during in transit or after delivery by Australia Post, associated couriers or any other parties. The Promoter recommends that entrants enter a mailing address that is known to be secure. The Promoter is not responsible for any Prize it is unable to send to the winner if the address given is incorrect. 12. In the event that a prize, or an element of a prize, is/are not available, the Promoter reserves the right to substitute prize(s) in its discretion to the same and equal recommended retail value and/or specification subject to any written directions from the various State and Territory lottery departments. 13. If for any reason this competition is not capable of running as planned (including but not limited to) infection by computer virus, bugs, tampering, unauthorised intervention, fraud, technical failures or any other causes beyond the control of the Promoter which corrupts or affect the administration security, fairness, integrity or proper conduct of this competition, the Promoter reserves the right in its sole discretion to disqualify any individual who tampers with the entry process, and, subject to any written directions given by the various State and Territory lottery departments, to cancel, terminate, modify or suspend the competition. 14. The Promoter is not responsible for any problems or technical malfunction of any telephone network or lines, computer online systems, servers, or providers, computer equipment, software, technical problems or traffic congestion on the Internet or at any website, or any combination thereof, (including but not limited to) any injury or damage to participants or any other person’s computer related to or resulting from participation in or downloading any materials in this competition. 15. Any costs associated with accessing the Internet are the entrant’s responsibility and is dependent on the Internet service provider used. 16. The Promoter shall not be liable for any loss or damage whatsoever which is suffered (including but not limited to indirect or consequential loss) or for personal injury which is suffered or sustained, as a result of participating in this promotion or accepting any of the prizes, except for any liability which cannot be excluded by law. Each entrant also releases Facebook from any liability for any loss or damages whatsoever which is suffered (including but not limited to indirect or consequential loss) or for personal injury which is suffered or sustained, as a result of participating in this promotion or accepting any of the prizes, except for any liability which cannot be excluded by law. 17. In the event of war, terrorism, state of emergency or disaster the Promoter reserves the right to cancel, terminate, modify or suspend the promotion subject to any written directions from the various State and Territory lottery departments. 18. All entries are deemed to be received at the time of receipt into the Promoter's promotional database and not at the time of transmission by the entrant. 19. All entries become the property of the Promoter. The Promoter collects entrants’ personal information in order to conduct the promotion. If the information requested is not provided, the entrant may not participate in the promotion. Entrants’ personal information may be disclosed to State and Territory lottery departments and winners’ names published as required under the relevant lottery legislation. A request to access, update or correct any information should be directed to the Promoter at their address set out below. All personal information will be securely stored by the Promoter. 20. By entering the promotion, unless otherwise advised, Entrants consent to the Promoter using the entrant's name, likeness, image and/or voice in the event they are a winner (incl. photograph, film and/or recording of the same) in any media for an unlimited period of time without remuneration for the purpose of promoting this competition (including any outcome), and promoting any products manufactured, distributed and/or supplied by the Promoter. 21. The Promoter reserves the right to request winners to provide proof of age, identity and residency at the nominated prize delivery address. Identification considered suitable for verification is at the discretion of the Promoter. 22. The Promoter is McPherson’s Consumer Products Pty. Limited ABN: 36 000 020 495 of 105 Vanessa Street Kingsgrove, NSW, 2208 Australia. Phone (02) 9370 8000. 23. This promotion is in no way sponsored, endorsed or administered by, or associated with, Facebook or Instagram. Entrants understand that they are providing their information to the Promoter and not to Facebook or Instagram. The information entrants provide will only be used in accordance with these terms and conditions. Any questions, comments or complaints regarding this promotion must be directed to the Promoter (McPherson’s Consumer Products Pty. Limited ABN: 36 000 020 495 of 105 Vanessa Street Kingsgrove, NSW, 2208 Australia. Phone (02) 9370 8000, and not to Facebook or Instagram. Further, entrants release Facebook and/or Instagram and their associated companies from all liability arising in respect of the Promotion.